The Nike Air Max 97 is a classic Nike sneaker and probably one of the most iconic of all the Air Max models. In the last couple of years, the shoe saw a huge resurgence as the Beaverton brand re-released the "Silver Bullet" and "Gold" colorways. It felt like these kicks were re-stocking every few months and were selling out every single time. The fan response to the sneaker was a confirmation that the Nike Air Max 97 was back and here to say. 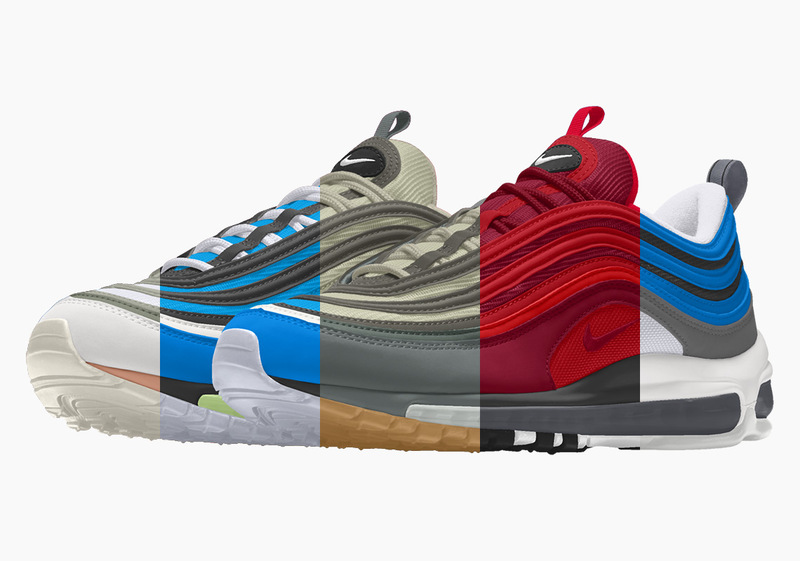 Since then, Nike has released a whole slew of Air Max 97 colorways, that have kept fans if the shoe both intrigued and satisfied. Now, Nike is taking the colorways to the next level, giving consumers the opportunity to make any colorway they want. That's right! NIKEiD is coming back to the Air Max 97, which is, of course, a part of Nike's "Nike By You" initiative. Now not every color on the planet is available, but there are a ton of different options to customize from. You can change the color of every single part of the sneaker, leaving the colorway up to the imagination of the consumer. According to Sneaker News, you can head over to Nike By You right now and customize your own pair for $190 USD.